I wanted to drop by to let you know I have survived day one of craft fairs and am just about to head back to start day 2. I think it's great that these start at 11am, so I can actually rest a bit before the second day. My table set up came together well and I'm very happy with how it looks. All in all the fair has been pretty good, although a bit quiet. 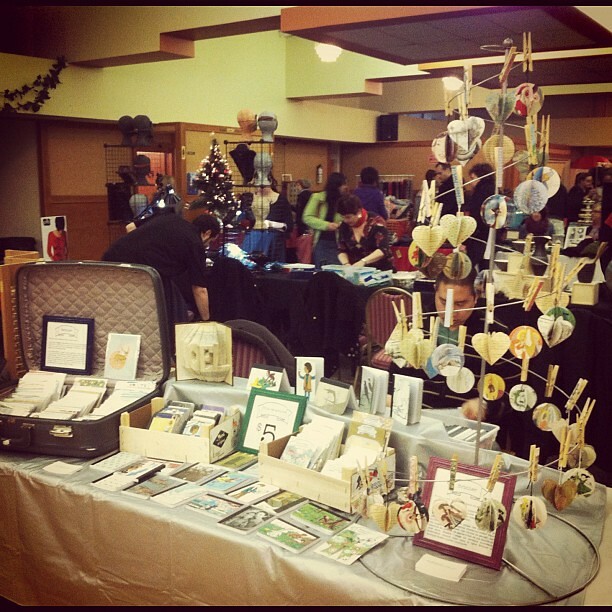 Yesterday the weather surely made people not feel like going out and wondering around craft fairs. Today should be nicer from a weather standpoint, so let's hope more people find their way to the fair. your post's to be what precisely I'm looking for. Does one offer guest writers to write content to suit your needs? I wouldn't mind composing a post or elaborating on most of the subjects you write with regards to here. Again, awesome site! Howdy very nice site!! Man .. Excellent .. Wonderful .
. I'll bookmark your web site and take the feeds also? I am glad to search out numerous helpful info here within the post, we want work out extra techniques in this regard, thank you for sharing. . . . . .